I have a few posts here & there related to travel. With an upcoming holiday vacation approaching (which I am sure many of you are in the same boat! ), I thought I would compile them all here as well as share my 10 Day Packing Guide. I am super excited about posting my first printable! I love little checklists, so I hope you love this one! Looking to compile all your bathroom goods for that upcoming trip? Check out my Travel Essentials | Toiletries post for 5 tips I use every time. This post was from a summer holiday, so just switch up those nail polish shades to vamp & beef up that moisturizer. Though this post isn't dedicated to travel, I think it is so helpful for making my hardest choice in packing: which eyeshadow palette to bring. Though I have added quite a few new palettes to the collection since I posted my Perfect Palettes Tag, it will certainly help aid you in that decision. There is a 'best for travel' category after all. Packing for a flight is as much of an art as a science. You need the right balance of items to be comfortable without weighing yourself down. I think this post just about has it right. And now that I hit you with all those vintage posts (& you read them all I'm sure...), here is something new! I hope you like it! I know I will be using it to guide me in packing this week. Print it out double-sided for a simple one-pager packing list, including a calendar for outfit planning. 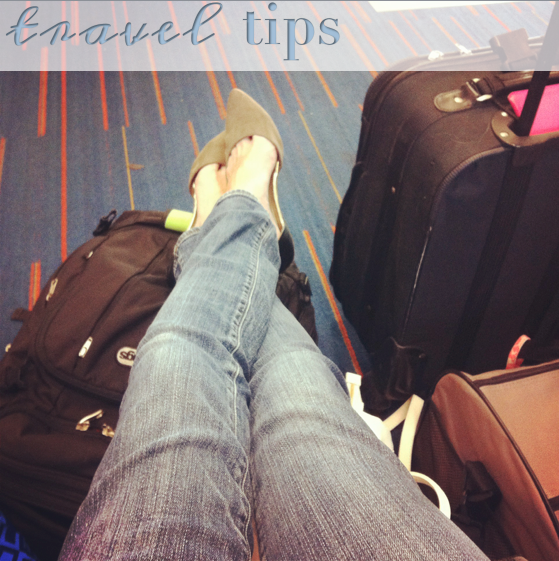 There is also a page of traveling tips! Let me know what you think. And if I forgot anything!!! Are you going away for the holidays? Where are you headed?